Investigators with the St. Martin Parish Sheriff’s Office needs your help in identifying a suspect wanted in connection to a theft at a local business in the Broussard area. On Thursday February 28, 2019, at approximately 1:46am., a trailer was stolen from a business in the 1000 block of Hughes Drive. Surveillance footage shows a white Dodge extended cab dually with chrome stove pipes, backing up to a 40 ft., Trail master Gooseneck Trailer, in the rear of the parking lot of a business. Surveillance footage then shows the individual the leaving the business with the trailer. If you can identify the driver of this vehicle, or have any information on the crime, please contact St. Martin Crime Stoppers at (337) 441-3030. 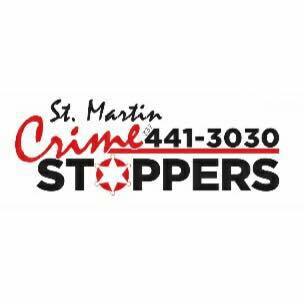 All callers remain anonymous and are eligible to receive a $1,000 cash reward.